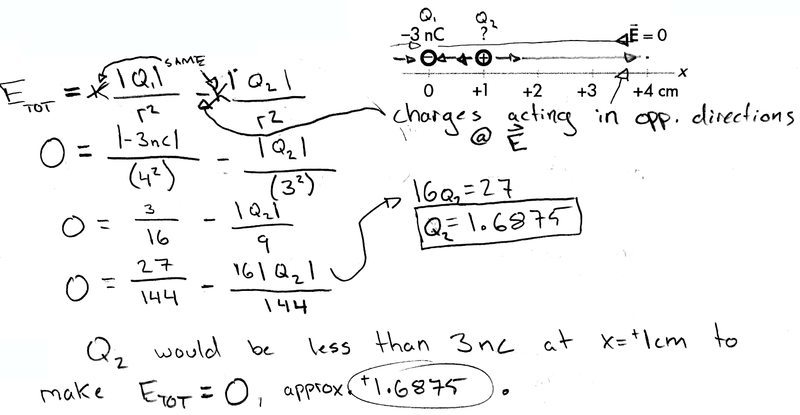 A –3 nC point charge is held at x = 0, such that there is an electric field at x = +4 cm. 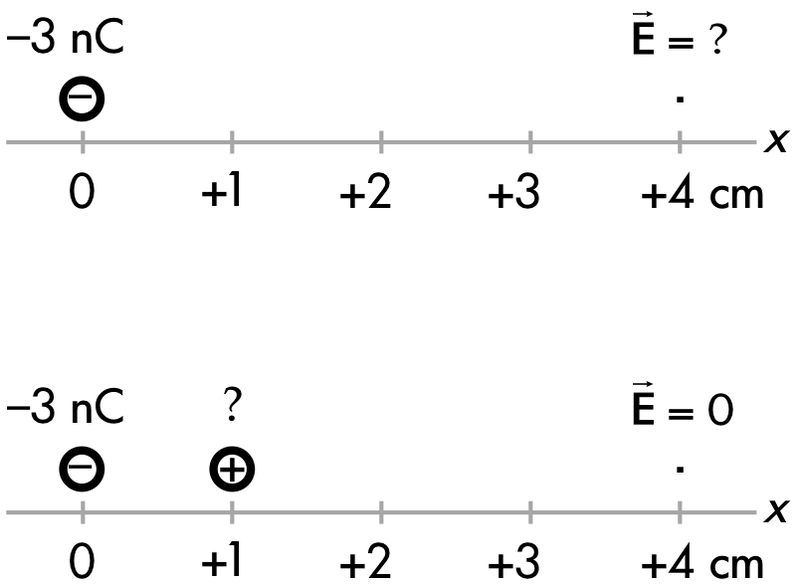 In order to have no electric field magnitude at x = +4 cm, discuss whether the amount of positive charge to be placed at x = +1 cm should be less than, greater than, or equal to 3 nC. Explain your reasoning using properties of electric forces, fields, and vector superposition. As (p), but argument indirectly, weakly, or only by definition supports the statement to be proven, or has minor inconsistencies or loopholes. May not explicitly discuss/demonstrate how the numerical values of the two source charges does not matter. Limited relevant discussion of supporting evidence of at least some merit, but in an inconsistent or unclear manner. Some garbled attempt at applying properties of electric forces, fields, and vector superposition. Implementation/application of ideas, but credit given for effort rather than merit. No clear attempt at applying properties of electric forces, fields, and vector superposition.